A new book by York Faculty of Education course director Kathleen Gould-Lundy provides new teachers with insights into what it means to be effective in the classroom. 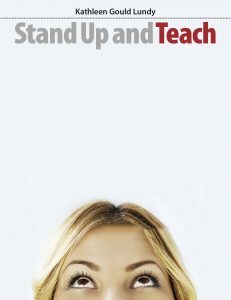 Stand Up and Teach focuses on the realities of today’s classrooms, and is based on Gould-Lundy’s extensive experience working with teachers in Toronto and in school boards across Ontario. Published by Pembroke Publishers, the book provides educators with insight on: how to establish safe, inclusive, respectful and culturally responsive classrooms; how to plan lessons and units of study; how to manage classroom activities; how to take advantage of mentor relationships; and how to become resilient enough to meet the inevitable challenges of teaching. Gould-Lundy draws on her work over the years with a broad range of teachers, as well as teacher candidates at York’s Faculty of Education, OISE and the Glenn Gould School at the Royal Conservatory of Music. The book outlines four main frameworks for teaching that include 20 teaching strategies as well as 30 classroom management tips that new teachers might find helpful. Gould-Lundy says her experience working with past and present York teacher candidates was a source of inspiration for writing Stand Up and Teach. “They continually inspire me with their questions and insights into the process of learning how to teach. Many of them are featured throughout the book and I include their thoughts as writers and performers,” she said. Gould-Lundy also drew inspiration from one of her past projects, All “I”s on Education, a research and professional development project that took place in 10 Ontario school boards from 2014-16. 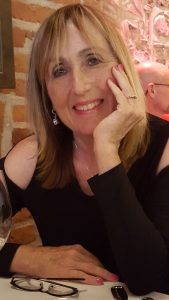 Teachers, principals and researchers from York’s Faculty of Education investigated how teaching could be enhanced by inventive, integrated pedagogy. Together, these research teams developed inquiry projects that integrated math, science and the arts (dance, drama, music, visual arts) with the support of technology. “At the end of the project, these teachers literally stood up and taught us about what it means to teach well in a powerful performance at York University called Voices of Innovative Practitioners,” she said. Having taught for many years, Gould-Lundy understands the thrill of teaching and the excitement that authentic learning can bring.